I am so excited to have my friend Sally Goldenbaum drop by for a visit today! Her new book Murder Wears Mittens was released last Tuesday by Kensington! One of my favorite things about the excitement that surrounds a book release is the chance to spend time right here in Dollycas’s cozy corner. Thank you for inviting me back. I love spending time with you. One of the things I enjoy most about writing is the challenge of creating a sense of place. Helping readers step into a world in which they can feel and taste and hear and see everything that surrounds the characters. At least that’s my goal. This August I spent many hours walking the shores of Cape Ann, where the fictitious town of Sea Harbor is now so firmly rooted in my imagination that I see it at every turn. 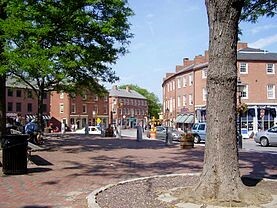 But as I walked around, I realized I was taking more credit than I deserved for creating the town. It isn’t my imagination alone that has helped me achieve that sense of place that I covet. It’s the place itself. 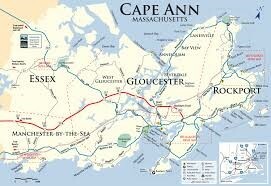 It’s Cape Ann and its small towns—Essex, Manchester-by-the-sea, Rockport—and the city of Gloucester. 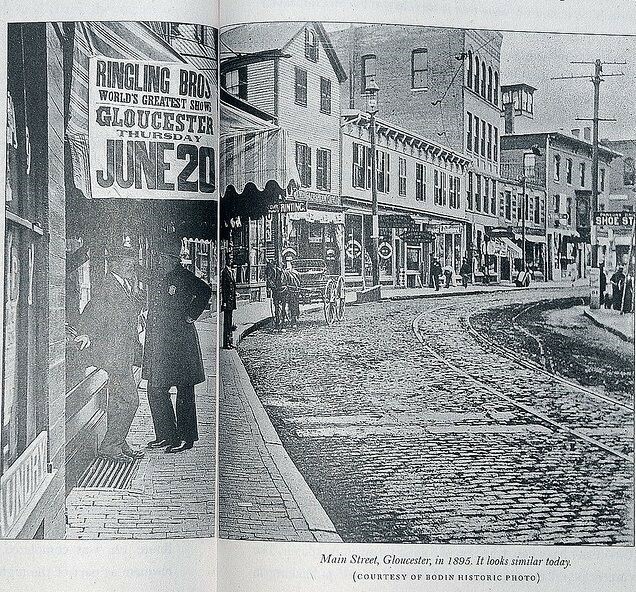 Some of you have visited the area, and even spotted places you’ve read about in the mysteries. Which gave me the idea of a tour—checking out places that have inspired me while writing the seaside mystery books. I hope you fall in love with the place, just as I have. In Murder Wears Mittens, a Laundromat on Harbor Road becomes important when Cass finds children’s clothing mixed up with her own. The next day she summons Izzy, Nell and Birdie to meet at their favorite brunch place to talk about the young boy she saw fleeing with only half his laundry load. 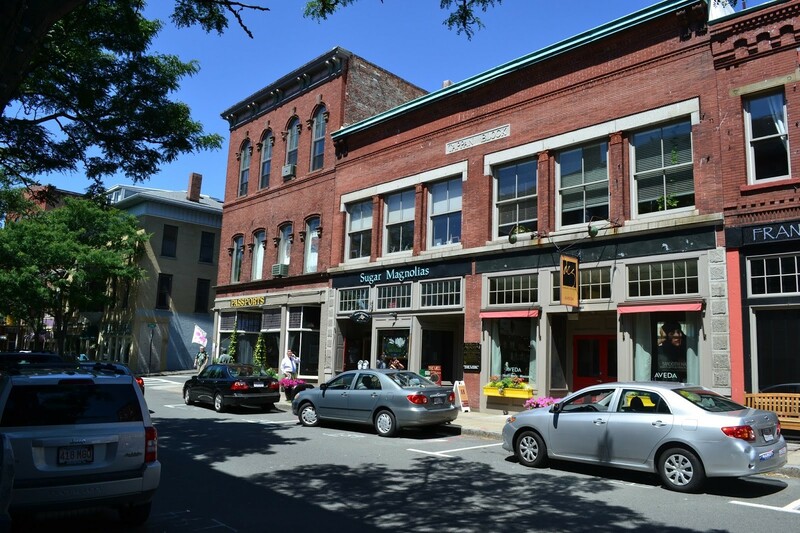 This restaurant, Annabelle’s Sweet Petunia, was inspired by Sugar Magnolias, located on Gloucester’s Main Street. You can see why the knitters like it so much, right? 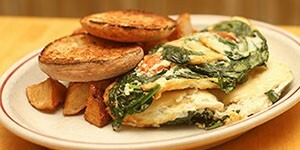 The omelets definitely provide brainpower, or so Cass claims. Another spot that I/the knitters love to visit is the Ocean’s Edge Restaurant. It’s where they often meet with friends and where many clues have fallen into place. The restaurant is inspired by a Gloucester hotel, the Beauport, a beautiful place on the edge of the harbor with a firepit-warmed deck where one can watch the sun set. And sometimes (at the Ocean’s Edge Restaurant), observant diners spot suspicious exchanges between staff and visitors, words and actions that linger dangerously and may help move an investigation along. There are so many more real places that feature in the lives of Nell, Izzy, Cass, and Birdie. 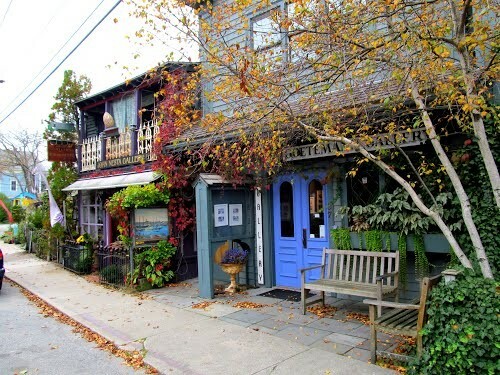 The Canary Cove Art Colony, for one, is the baby sister, inspired by Gloucester’s Rocky Neck Art Colony, one of the oldest continuing working art colonies in the United States. There’s Nell’s neighborhood and the yacht club, the beaches the women walk as they try to figure out life—and death. And, of course, there’s Izzy’s Yarn Shop, a place that centers the seaside knitters’ spirits and minds and souls. A place that is the result of dozens of wonderful shops I’ve visited everywhere we travel. A place the knitters call home. Hopefully, this small glance at the seaside knitters’ environs will look familiar, and you will paint them even more brightly with your own imaginations. Thank you for stopping by. And I hope you enjoy Murder Wears Mittens. I’d love to hear from you. Thank you Sally for being here today!! This is one of my very favorite series. Now it has been reborn as Seaside Knitters Society Series by Kensington Publishing. For fans of this series it picks up right where Murder at Lambswool Farm (Seaside Knitters Mystery) leaves off. For those just discovering this fabulous group of characters there is a cast list at the beginning of the book, don’t panic by the long list, the author gives plenty of detail throughout the story so you can get to know the characters easily. 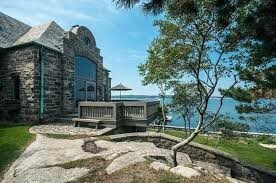 If I could I would pack my bags today and move to Sea Harbor, Massachusetts. The residents are smart and fun and generous. They are always willing to give a helping hand, a little advice, a warm hug and a full belly. Their dinners on the deck will make you swoon. They will also be sure you have all the sweaters, scarves and mittens you need. Case in point; Cass Halloran is at the laundromat when she finds some unusual items in her dryer. She is surprised when a young boy hurries in, pulls some things out of her dryer and quickly rides off on his bicycle. She tries to catch up but can’t. Then she finds a school uniform just like she used to wear that the boy had left behind. She just can’t get the child out of her mind, with a little help she finds out his name and where he lives. She along with her friends Izzy, Nell, and Birdie go to return the uniform only to find the boy and his sister alone, no sign of their mother. While trying to track down the woman they also find themselves investigating another death. A recluse, Dolores Cardozo, is found dead in her home and the children’s mother could be involved. So now in addition to knitting mittens for charity they are going to have to knit together all the clues to solve this murder. The Seaside Knitters, Izzy, Nell, Cass and Birdie, along with their spouses, significant others, kids and friends are some of the best characters right now in cozy literature. Over the years the group has grown because as a whole and they are all so welcoming. Knitting may have brought them together in the beginning but it is their friendships that have stood the test of time. They are realistic, engaging, with hearts as big as all outdoors. Such a fine group of people. With each book I feel as I am returning to visit old lifelong friends. These character’s lives would make a great women’s fiction story on their own but Ms. Goldenbaum knits and purls them right into a fantastic mystery. Dolores Cardozo mostly kept to herself. Few people knew her by name, they would see her walking on the beach but didn’t really know much about her. Now that she has gone and named Birdie executor of her will, plus the news that she may have been murdered by the mother of the children that Cass has become attached to sends this story in a very interesting direction. The plot is thought out and so well written. I was invested in the new characters just as much as those that have warmed my heart in 11 previous books. I needed to know how things would turn out. The ending was surprising and so satisfying. This is a story of friendship first and foremost but the mystery is top-notch. I try to slow down and savor my visits to Sea Harbor but find that impossible because I need to solve the crime right along with the Seaside Knitters. I have enjoyed every story but hate to say good-bye after the final page. Same time, next year…..can’t wait. Sally Goldenbaum was born on the shores of Lake Michigan, in Manitowoc, WI, to a homemaker mother and a ship-building father. Although she now lives in landlocked Prairie Village, KS, her longing for lakes and the sea is satisfied in part by writing the USA Today bestselling Seaside Knitters Mystery series , set on Cape Ann, MA. 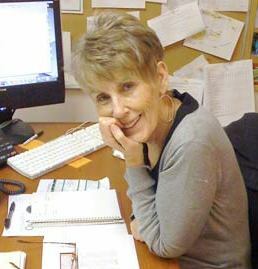 She is a sometime philosophy teacher, a knitter, and an editor, and the author of more than thirty novels. Her fictional knitting friends are teaching her the intricacies of women’s friendship, the mysteries of small-town living, and the very best way to pick up dropped stitches on a lacy knit shawl. 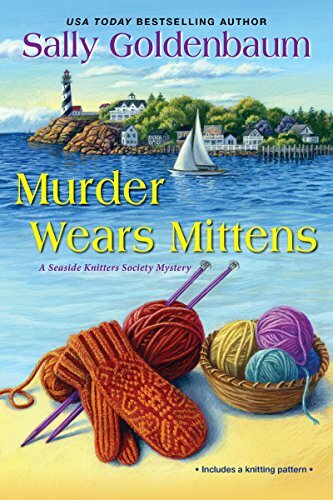 Murder Wears Mittens is the first book in the Seaside Knitters Society series. A continuation of the Seaside Knitters Mystery Series. Leave a comment for the Sally for 5 Bonus Entries. This looks like a great book and I’d love to win! Thanks! Such lovely knitting, and such an ugly crime! It’s a great place, Melody. Come visit. I love the Seaside Knitters! Thanks for the chance to win! Thanks, Karen. Good to see you here! I loved reading your description of the town. Thanks for a chance to win a copy of your book. Thanks, Elaine. It’s a great place! As the weather cools off a little those mittens are starting to look pretty comfy. Thanks for the chance to win your new book. This is my kind of book. I really liked the description of the book. Sounds like a great read. This looks like a great book. I enjoy knitting and reading kind of hard to do both at the same time, though. Thanks! I love this series & author! Thank you! Such a nice message. I’m behind in this wonderful series and need to catch up! catwoman1a is me. I made a mistake and didn’t correct that. Anyway, this series sounds awfully fun. I can’t wait to get started. This sounds like a lovely, fun series. Can’t wait to get started. Love Sally’s writing style and ability to pull the reader into her stories with believable characters and story lines. So glad this series is continuing. This sounds like a story I will enjoy reading. My favorite knitting series – so glad there’s a new one to read! I love when stories contain actual locations. It brings such realness to it.